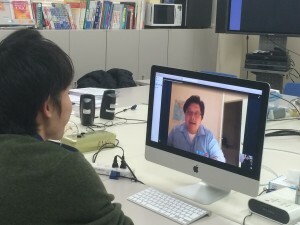 December 16th to 19th, we had a Skype session with Nhut, or big brother, who will be helping us find out home stay. In this Skype session, we told Nhut what we expect from our Home stay family for about 10 minutes. Nhut will find the best family that meets our requirements. This was our first time everyone from the program interacted with a native English speaker. I didn’t get to see everyone talk with big brother, but from what I heard from Mr.Yamanaka, our English teacher in charge of this program, everyone seemed like they were trying their best to communicate in English.